Water at the dog park is turned off until further notice. This park is made possible through a partnership between Kettle Creek Conservation Authority (KCCA), the Municipality of Central Elgin and the City of St. Thomas. The park is owned and managed by KCCA. The St. Thomas Dog Owners Association provides assistance to make sure the user rules are followed. Following the user rules will maintain harmonious relations between dog park users and other conservation area users. Please follow the rules and help us maintain an area for off-leash dog recreation. The activities shown on the map below are permitted on this KCCA Property from dawn to dusk, unless otherwise posted. Park is open dawn to dusk only, unless otherwise posted. All dogs shall wear visible, valid and up-to-date license and rabies vaccination tags. 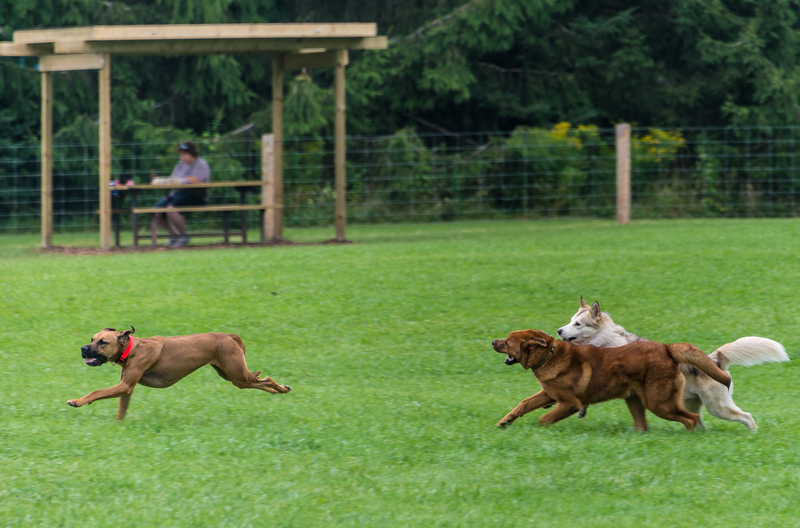 Park users and dog owners/custodians assume all risks for injury or loss of any kind to themselves and their dogs, recognizing the inherent risks involved in exercising over natural terrain and mixing various dogs in a free range area. Owners are fully responsible for their dog’s actions and for any injuries or damages arising from their dog’s behaviour. The Dog Owner’s Liability Act applies in this Park. Dog owners/custodians must carry a leash at all times and closely supervise their dogs. At no time may the owner/custodian exit the fenced area without his/her dog(s). Each owner/custodian must be an adult and shall not supervise more than three dogs while in the park. Dogs exhibiting aggressive behaviour are to be removed immediately. Dog feces must be cleaned up immediately by owners/custodians and properly disposed of in the containers provided. Owners/custodians must fill any holes created by their dogs and report any observations of gaps or weaknesses in the boundary fencing. Subject to the specific exceptions above, this recreation area is otherwise subject to all provisions of the Kettle Creek Conservation Authority.